New Delhi: Prime Minister Narendra Modi is likely to take the final call on whether India needs to remain engaged in the ongoing negotiations for the contentious Regional Comprehensive Economic Partnership (RCEP) free trade agreement (FTA) or not, after a meeting convened by the Prime Minister’s Office (PMO) saw growing opposition to the deal from secretaries of various government departments. 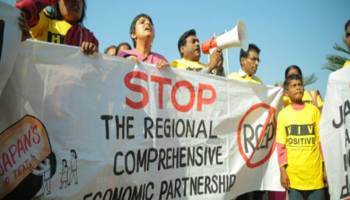 “I am a little bit ambivalent about RCEP, as it will involve a lot of opening up to China. We have a natural complementarity vis-à-vis Europe. We export labour-intensive goods to Europe and they export capital-intensive goods to us. In case of the Asean and China, it’s not the same thing. So what’s the advantage for us (in RCEP)? I am not saying it’s bad or it’s wrong, but I am saying we need to think more carefully about that. There is also the geostrategic dimension we need to take into account. So, that’s a more difficult and richer discussion that the government needs to have,” Subramanian said.